SEVERN, MD (ANS, May 27, 2015) – Are you ready for a paradigm shift in your thinking about outreach to your community? Joel Freeman, who is a former senior pastor and team chaplain of the NBA Washington Bullets/Wizards, has a revolutionary idea that could help churches in their evangelistic efforts. “We live in a modern world where technology seems to be hindering or even replacing our human interaction. Watch people sitting in a restaurant at the same table. Limited conversation. Just sitting there looking down at their smart phones…smiling…while texting each other,” Freeman told ANS. As a lead pastor of 18 years and basketball team chaplain for 20 seasons, Freeman would like to help change all that — with a magazine. “Yes, a magazine. Don’t worry, I am very much aware that paper magazines are being jettisoned from the print world to the digital universe,” he said. “This intriguing project is a gift that keeps on giving to congregations throughout America,” he said. Freeman, who is the originator of the idea for The Shepherd’s Guide Christian business directory (stated by some to be one of the more successful hybrids of church and business in North American history), is providing an unparalleled opportunity for congregations to receive up to 25,000 private-labeled magazines — while also receiving a minimum donation of $5,000 for their efforts…without draining one penny from their church budget! If that is a problem in your community, Freeman would like to help change all that. 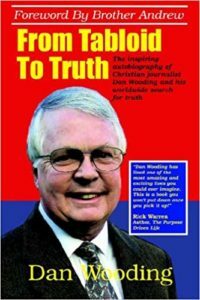 He stated: “This 32-page magazine can energize the outreach of any church – paid for by ad sales and distributed FREE at grocery stores, doctor’s offices, hair salons, banks, barber shops, auto repair garages, local businesses and neighborhoods. “It’s a win/win/win/win scenario,” he said. Freeman stated that, according to Barna Group research, there are 350,000+ churches in America, with the average attendance around 75. This project is especially designed for smaller to mid-sized churches (75 – 975 members), with budgets and logistics that do not permit them to be able to afford to create a world-class magazine designed for evangelism, outreach and church growth. “Larger, multi-campus churches can do the same edition for each campus,” he explained. 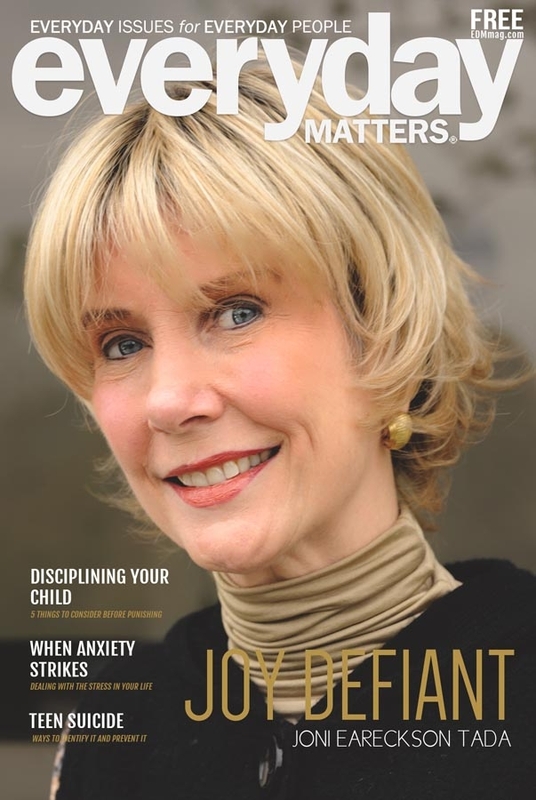 According to Freeman, Joni Eareckson Tada and Manute Bol are on the covers of two of the first editions of Everyday Matters® magazine and 2-3 new editions will be developed each year. Using that ‘natural-to-the-spiritual’ evangelism model, Freeman has identified 50 ‘felt need’ topics that will inform the types of conversation-starting articles he will publish in future editions. 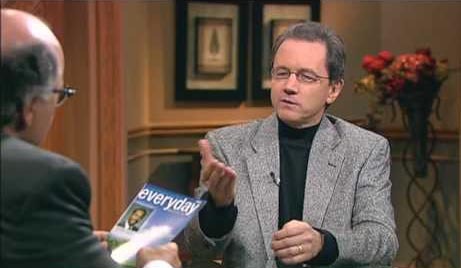 Michael Ireland is a Senior Correspondent for the ASSIST News Service, as well as a volunteer Internet Journalist and Ordained Minister who has served with ASSIST Ministries and ASSIST News Service since its beginning in 1989. He has reported for ANS from Jamaica, Mexico, Nicaragua, Israel, Jordan, China, and Russia. Click http://paper.li/Michael_ASSIST/1410485204 to see a daily digest of Michael’s stories for ANS. ** You my use this or any of our ANS stories with attribution to the ASSIST News Services (www.assistnews.net).